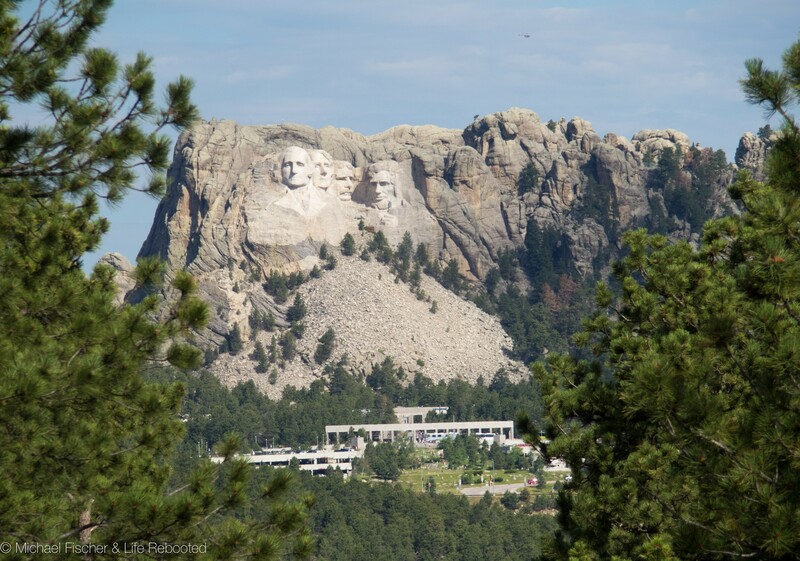 Our next destination on our continuing voyage east brings us to the Black Hills area of South Dakota and all the tourist attractions it offers. We hit the area about 1.5 weeks before the HUGE 75th anniversary of the Sturgis motorcycle rally. When we dropped anchor in Custer, we saw a few motorcycles, but by the time we left, the number of bikes seemed to outnumber the cars on the streets! The Black Hills are home to Mt. 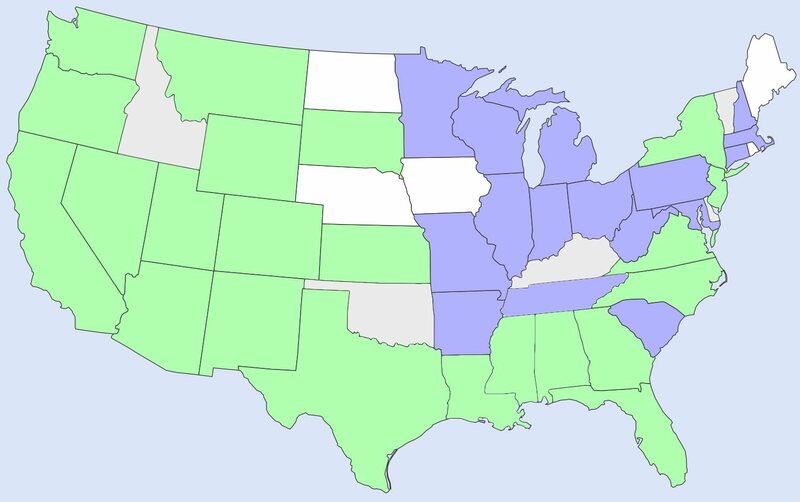 Rushmore, Crazy Horse, Custer State Park, Harney Peak (highest point east of the Rockies), Sturgis, Devils Tower, and other attractions. 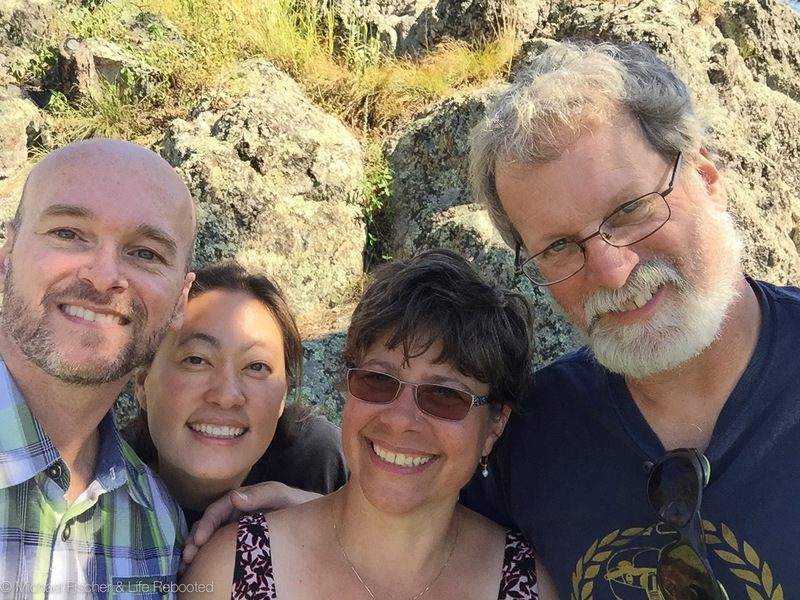 As a bonus, we met up with Mike’s brother and sister-in-law since they were also visiting the Black Hills (on motorcycles!). The area is known for several great scenic drives. 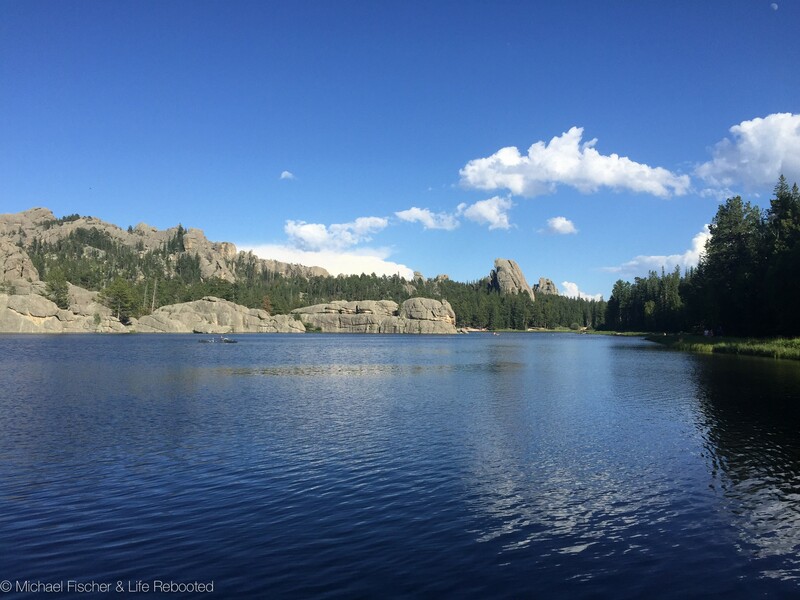 We decided to drive the Norbeck Scenic Byway and the Wildlife Loop at Custer State Park. The Norbeck Scenic Byway was named after Peter Norbeck, senator and governor (not at the same time) of South Dakota. 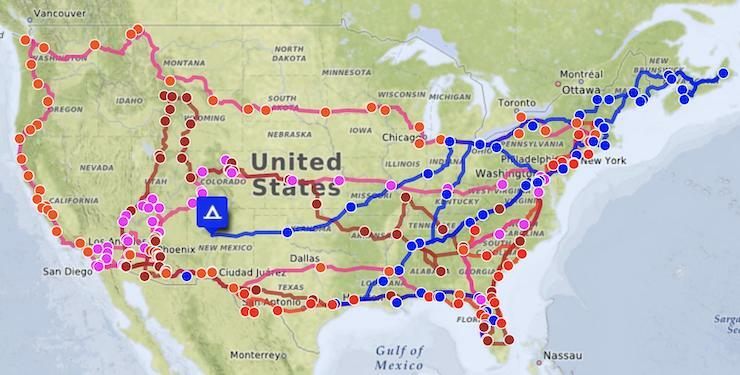 He proposed most of the roads on the scenic byway and walked the entire area finding the best routes. 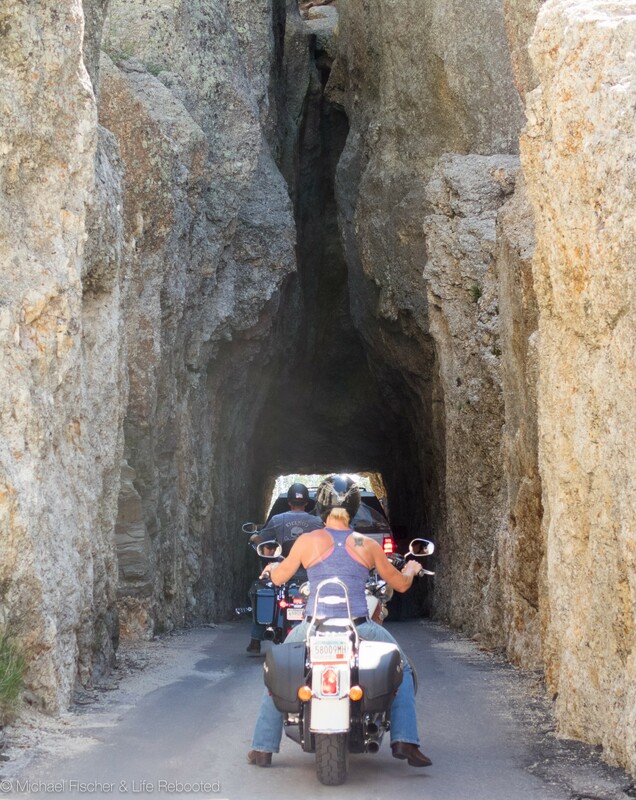 The byway consists of Needles Highway, Iron Mountain Road, Horse Thief Lake Rd and Sylvan Lake Rd, plus it takes you right by Mt. Rushmore. Don’t try to take an RV on the Needles Highway! The byway has some beautiful overlooks and some freakishly narrow tunnels, definitely a must-do (in a car) when visiting Black Hills. We ended up doing drive-bys of both Mt. Rushmore (way too crowded and expensive to park) and Crazy Horse Memorial. Both are probably great to visit and very educational, but I think Mike and I both felt unmotivated to pay the fees and fight the crowds that day. Instead we ooooh’d and aahhh’d as we drove by the monuments. 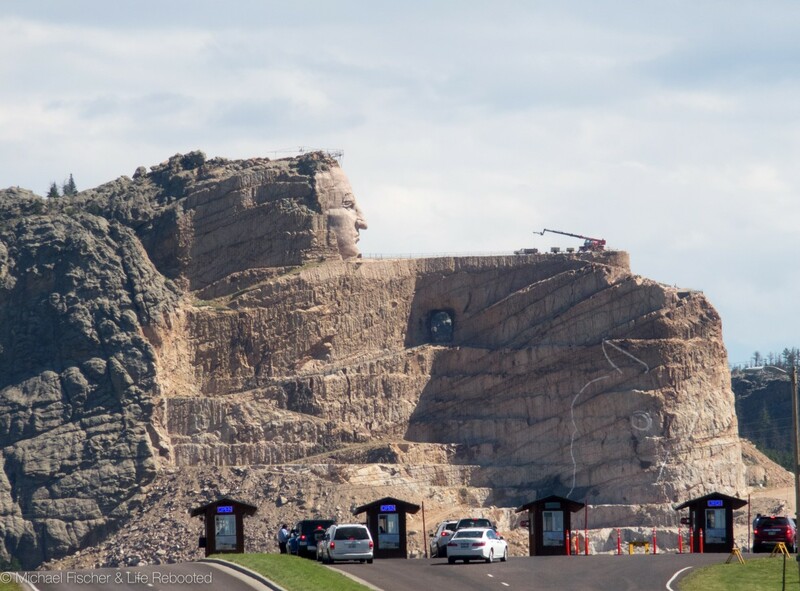 Crazy Horse Memorial: 67 years completed, how many to go? 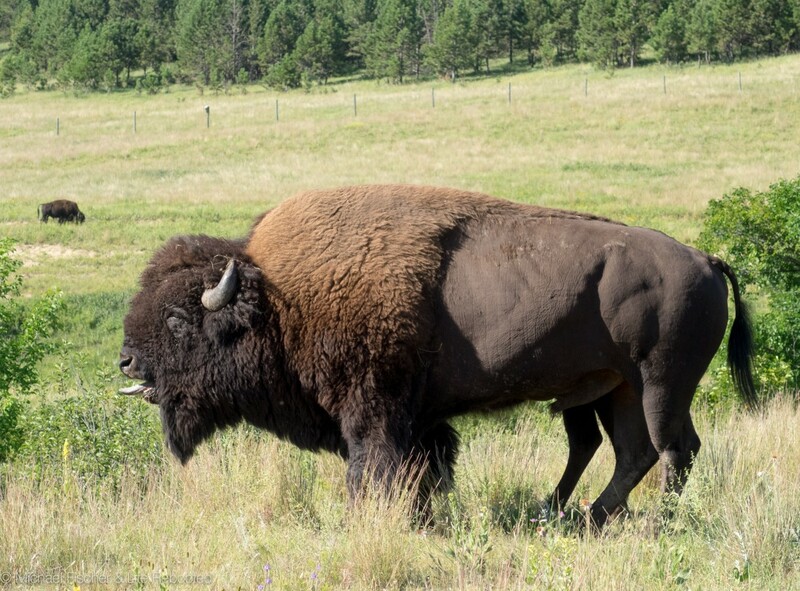 We also drove the Custer State Park Wildlife Loop which winds through 18 miles of grasslands and hills where many of the park’s wildlife roam. 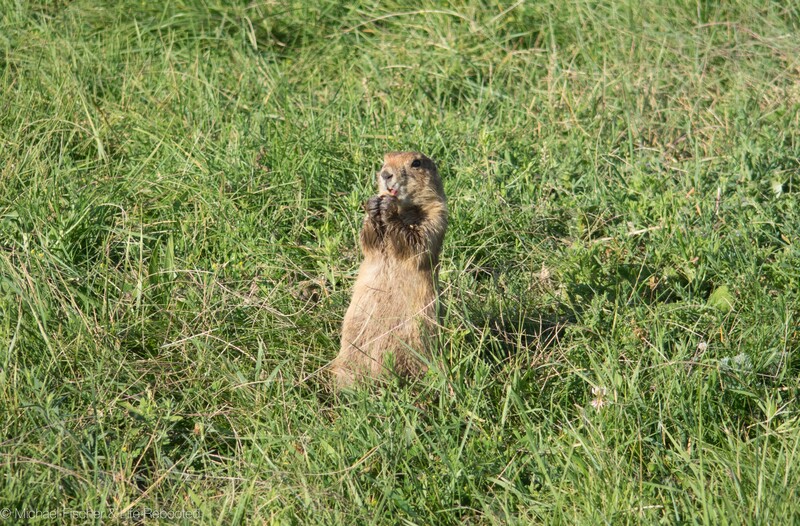 We saw a LOT of prairie dogs, some deer, and the famous begging burros. The burros aren’t native to the area. They were once used to take tourists to the top of Harney Peak but the rides were discontinued and the burros were released into the wild. The begging burros are descended from the original pack and have learned that humans are suckers at heart. The burros will purposely block traffic and poke their heads into your car waiting for food. Since we knew about it in advance, we brought some carrots with us, making us very popular… at least until the carrots ran out. 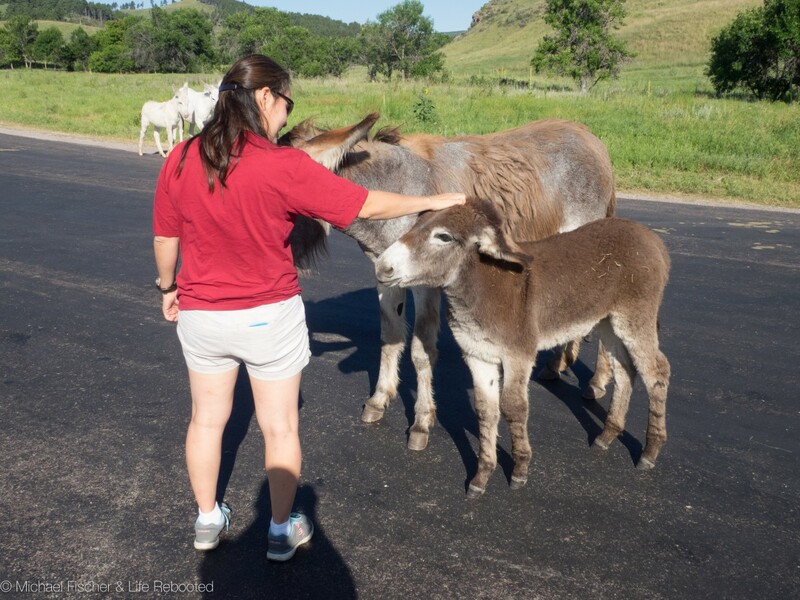 The burros know how to work the system: turn the cute up to 11! 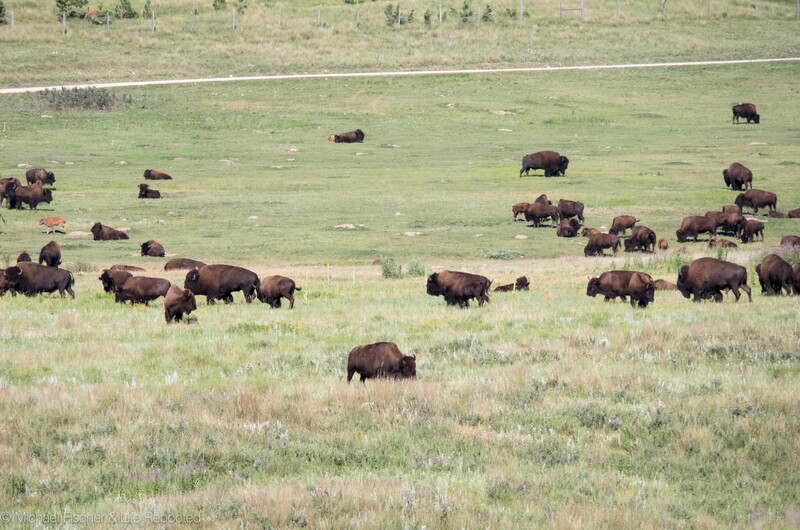 We despaired of seeing any bison until we saw some far off in the distance. We noticed a dirt road (with a sign indicating public access) off the main road and decided to check it out. Apparently all the bison decided to hang out here for the day because once we went over a hill, we saw them everywhere! They seem very docile but we weren’t taking any chances, so we stayed in the car while we watched them graze, run, play, and stick out their tongues at us (ok, it probably wasn’t at us, but it looked a lot like that). Since Wind Cave National Park and Mammoth Site at Hot Springs are near each other, we decided to hit both in one day. Wind Cave National Park was the first cave to be designated as a national park. It’s the 6th longest cave in the world with new passageways still being discovered every year, and it’s considered a three dimensional cave (multi-level passageways, and multiple passages spreading out; rather similar to an ant colony). Since the cave is ginormous with only a few openings to the outside, when barometric changes occur outside, the air in the caves either rush in or out to equalize the change in pressure, causing the cave to breathe, which gives Wind Cave its name. We took the Natural Entrance Cave tour which is about 90 minutes long and visits a small part of the middle level of the cave. This is the first time we saw boxwork formations, which Wind Cave is well-known for. Almost 95% of known boxwork formations in the world are found at Wind Cave. Unlike many other types of formations inside caves, many believe boxwork was created before the creation of the cave. The mountains are built up through tectonic plate collisions; many fractures form through the rocks over time by stress, earthquakes, and shifting; calcite (which is harder than the surrounding limestone) fills in the fractures; then erosion and water wears away the softer rock, leaving the calcite behind. It’s very cool to see! 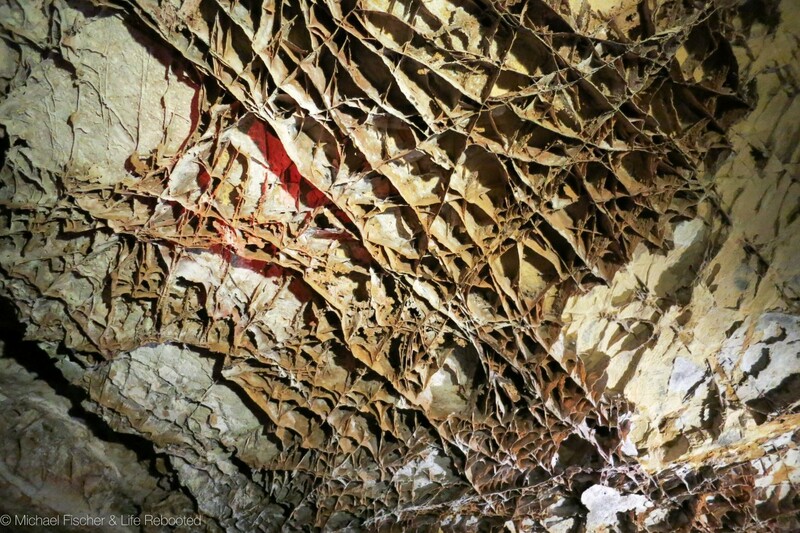 Some of the boxwork formations on the ceiling at Wind Cave. Both Mike and I were really impressed with the Mammoth Site. It’s a live excavation site but is open to the public for tours. Around 30,000 years ago a sinkhole opened and warm spring water would seep up into hole. The warm water and pond vegetation would entice young male mammoths to visit the pond for nourishment. Once in the pond, the steep slippery sides prevented the mammoth from escaping and he would perish from starvation, exhaustion, or drowning. This occurred over 500 years (give or take a couple hundred years) as the pond slowly fill with sediment, debris, and silt, covering the mammoths and preserving their bones. In 1974, the site was discovered during routine excavation for a housing development and was preserved. Currently, 61 mammoths have been identified, along with various other animals, plants, and invertebrate fossils. Ongoing excavation at the Mammoth Site at Hot Springs. When they find mammoth bones, they often leave them where they were discovered (with a few exceptions), since the bones are so fragile. We were lucky to visit in July during the only time when excavation is active. 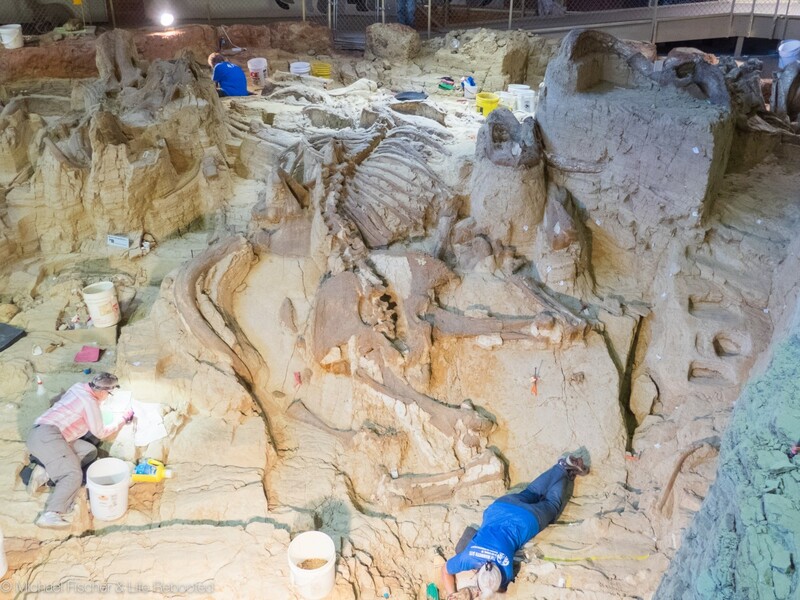 Every July, enough new bones and fossils are uncovered to keep the scientists busy for an entire year! So during our tour, we saw volunteers using brushes, spades, and picks to clear away areas looking for bones. The tour is informative, the site is super-cool, and the exhibits are very detailed. Definitely a fantastic experience for us. 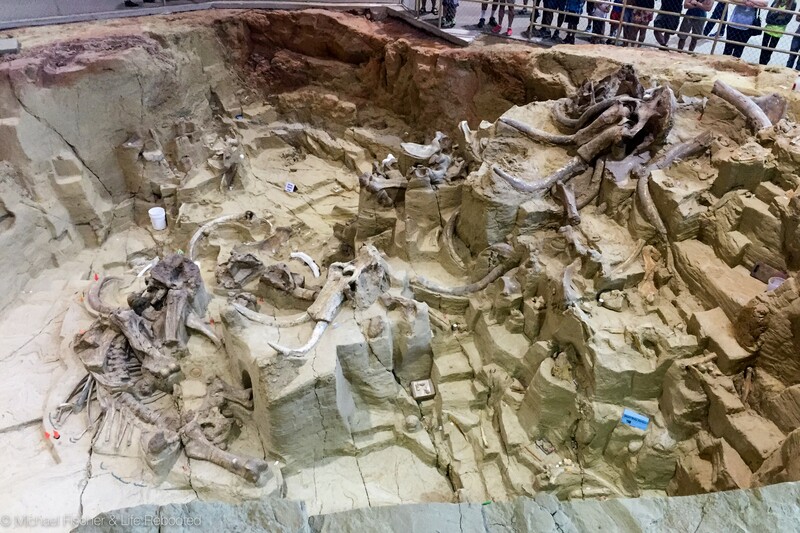 The Mammoth bones and fossils are left in place when found. We couldn’t leave Opie out of all the fun, so we took him to Sylvan Lake for a nice cool splash in the water, and relaxing walk around the lake. It’s a easy 1-mile walk with pretty views and access the lake for swimming (canines and humans). 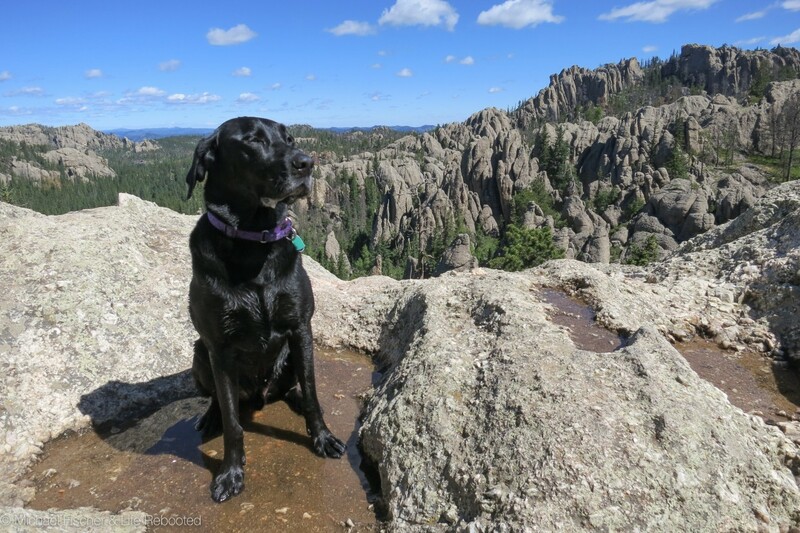 A couple hours playing in the water and a short walk isn’t enough for Opie so we came back a couple days later to try out the hike to Harney Peak. Sylvan lake was full of visitors jumping off the high rocks into the water. Harney Peak is the highest summit east of the Rockies with an elevation of over 7,000 feet. The trail is a little under seven miles roundtrip and we’d consider it a moderate hike. 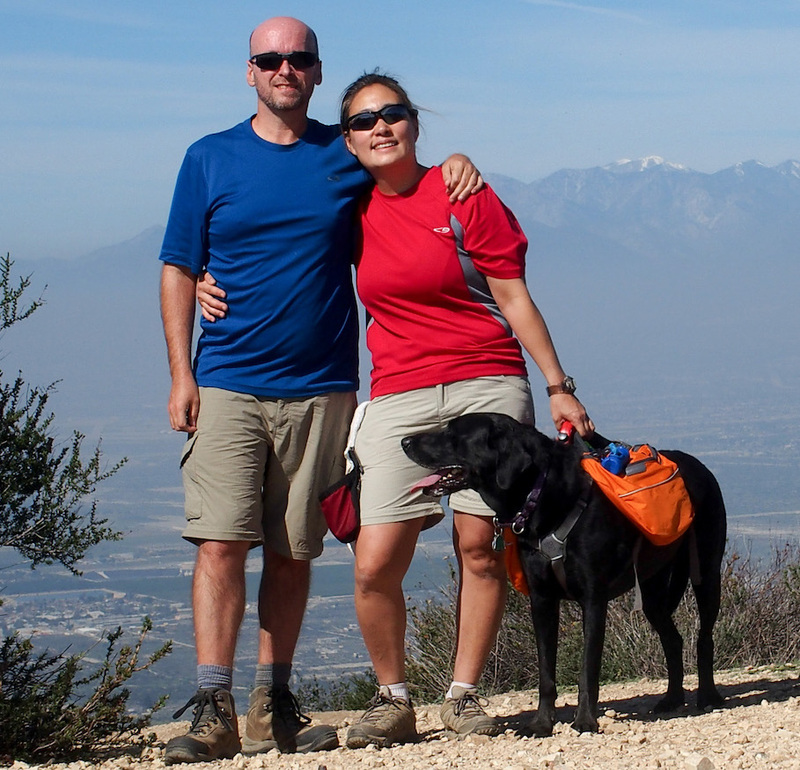 It is extremely popular so even on a wednesday, the trail was packed with other people and dogs. The hike takes you through some nice forests and overlooks parts of Needles Highway. 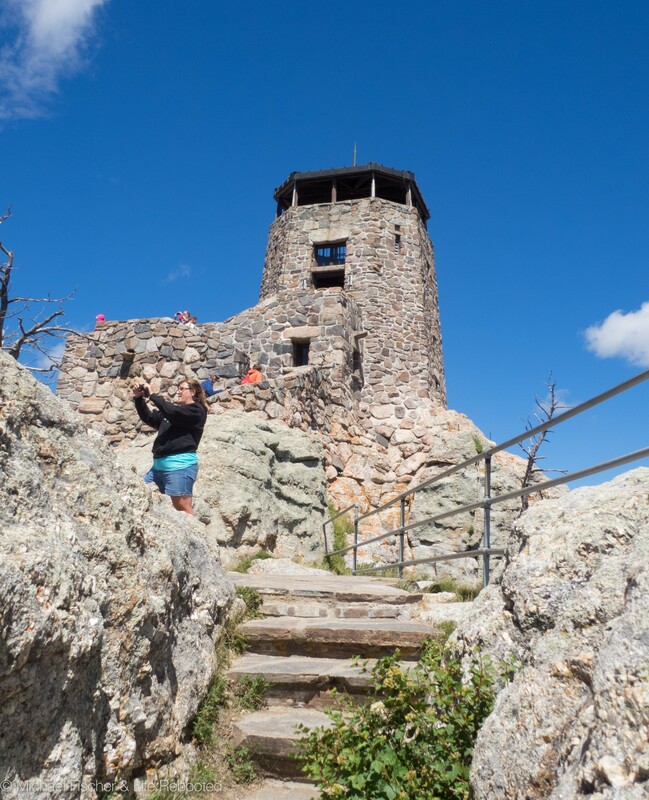 At the peak, there is fire watchtower (no longer in use) that you can walk through with stunning 360 degree views of the surrounding Black Hills. To get to the watchtower, you have to climb a few open steel steps and Opie was having none of that so Mike and I took turns going up to the watchtower. Opie taking a break to pose for a photo during the Harney Peak hike. There’s so much to see and do in this area, and even with our active schedule (for us, anyway) there’s a lot we didn’t get to do. Hopefully we’ll be back in the area in a year or two and we can visit Devil’s Tower, Deadwood, Sturgis, and other nearby sights. We did have one more nearby “must visit” place, which was Badlands National Park. Since it’s right along our route back east, we decided to drive there with Rover and camp for two days so we’d have more time to check it out. Stay tuned for our Badlands update to find out who needed an X-ray after our hike there!